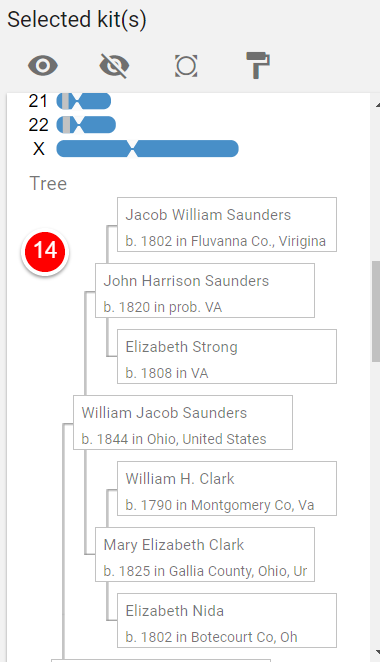 When you see a tree outline icon on the List View, it means there is MiniTree associated with this kit at GEDmatch or WikiTree which you may upload. When you see a solid tree icon, it means you have already uploaded the MiniTree and can view it in the Kit View. Click on the owner's name to open the Kit View. MiniTrees can be imported into the Kit View by following these directions. 1. 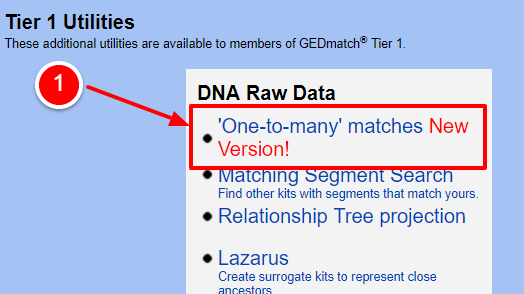 Log into GEDmatch. (These instructions are for tier 1. Follow a similar procedure if using the free version.) and select "One to many" matches. 2. Enter your kit number. 4. Use Control-F (for PC Users) or Command F (for Mac users) to find the kit number you want. 5. 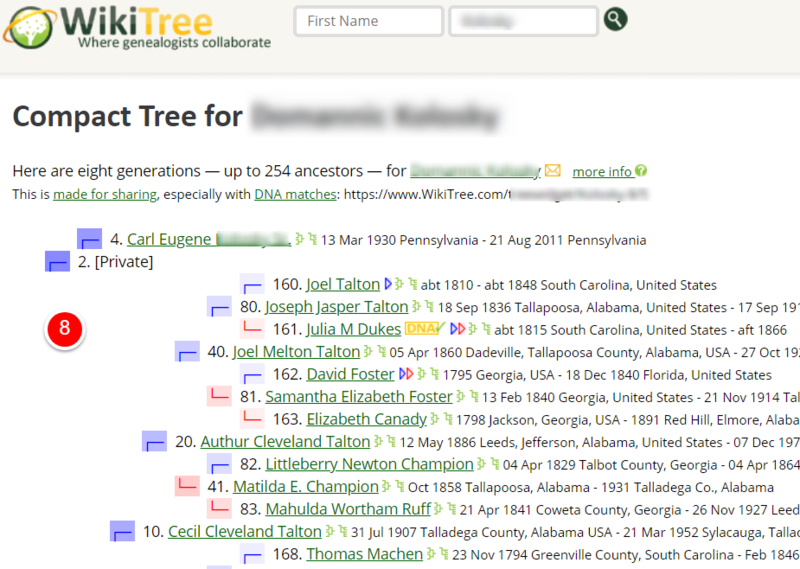 Click on "GED" to see the Mini"Tree on GEDmatch or "Wiki" to see the MiniTree on WikiTree. For WikiTree simply click on "Wiki" to see the MiniTree and follow steps 8-14. 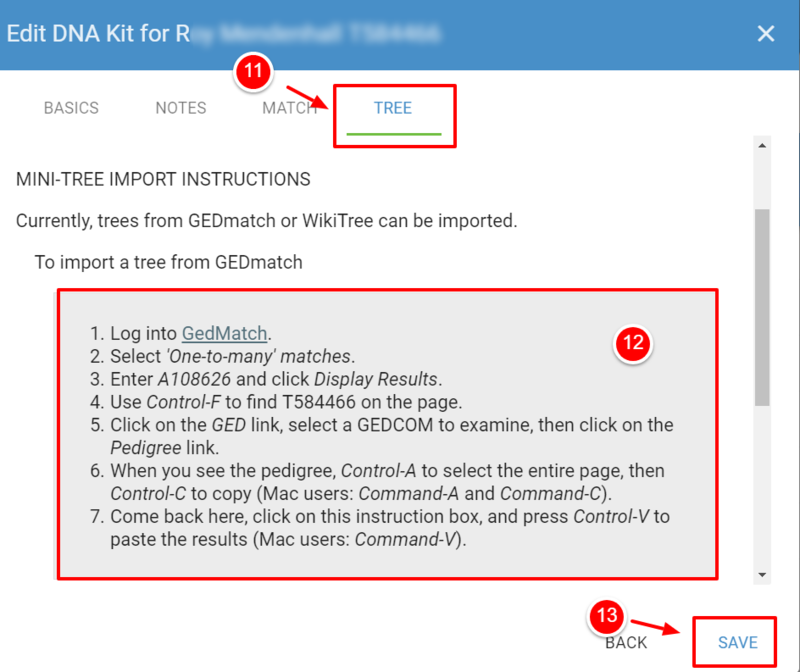 For GEDmatch MiniTree follow steps 6-14. 6. On the next screen click on the email address of the owner of the kit with the tree you wish to see. 7. Click on the "Pedigree" link. 8. 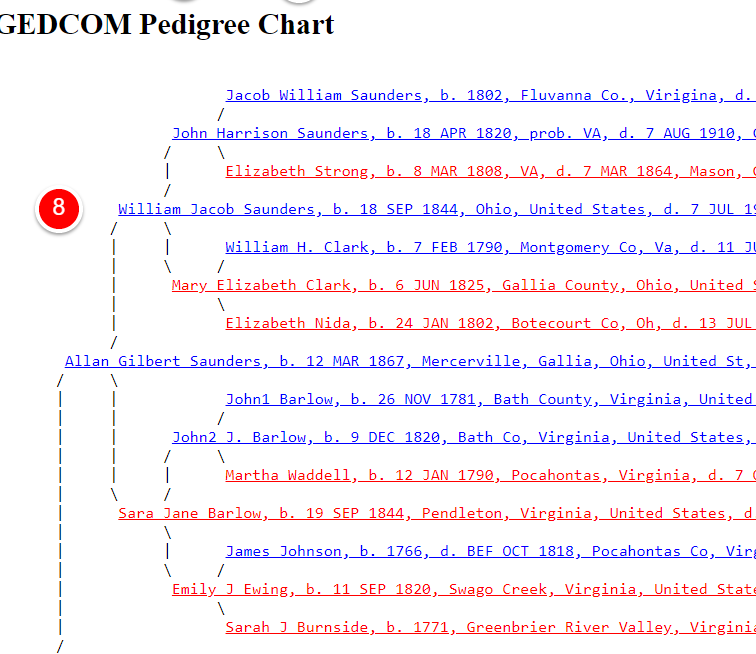 When you see the pedigree, Control-A (for PC Users) or Command-A (for Mac users) to select the entire page, then Control-C (for PC Users) or Command-C (for Mac users) to copy. 9. Return to your RootsFinder list view and click on the owner of the mini tree. This will open the "Kit View" for this person. The kit view will allow you to color code the kit, enter notes and contact information, attach the kit to your tree, and download the mini tree. 10. Click on the pencil icon to open the edit window for the Kit View. 11. Click on the Tree tab and click inside the gray instruction box. 12. Click Control-V (for PC Users) or Command-V (for Mac users) to paste. 14. Here is the mini tree as seen in the Kit View.